Is PAIN keeping you from enjoying life? Stop the endless cycle of excessive medications that aren’t reaching the source of your pain at The Pain Relief Project! With 27 expert presentations about pain relief, you’ll gain access to natural solutions to combat serious health challenges, like arthritis, multiple sclerosis, cancer and terminal illnesses. Don’t just “take the pain!” Our Pain Relief Project experts represent the fields of holistic wellness, nutrition, chiropractic care, spirituality, personal development, longevity, exercise and more, to “take the pain” away! 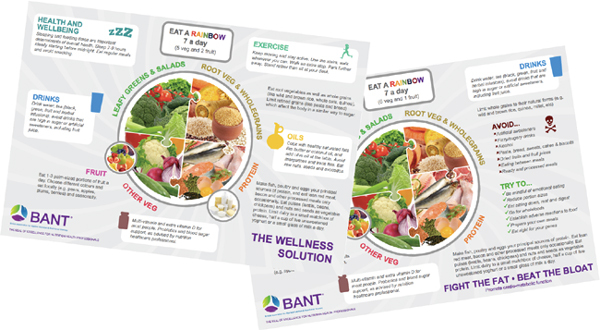 In February 2015 BANT opened up applications for Fellow Members in order to recognise those members who had made a significant contribution to the Nutritional Therapy profession or had advanced the practice of Nutritional Therapy. BANT was looking to award the title of Fellow to members who had gone far and beyond the call of duty in their work for BANT as a volunteer and in doing so had made a significant contribution to BANT, supporting BANT in its vision and enabling BANT to achieve its Strategic Objectives in moving the profession forward. Or, members who had shown an unselfish dedication in advancing the practice of Nutritional Therapy and made a significant, demonstrable contribution to the industry. Fellow Members are seen as exemplars of the profession who wholly support the aims and objectives of BANT. Fourteen applications for Fellow Members were received, of which seven were successful. Barbara Powell, Membership Director, said ‘We were absolutely delighted with the interest shown in the position of Fellow Member and with the quality of applications received. Each application was vigorously reviewed by the Membership Committee with recommendations for successful applications made to Council’. Going forward, BANT will be opening up applications for Fellow Members in January of each year. Emma has been a BANT member since 2001. She joined Council in March 2002 and formed and Chaired the CPD committee from December of 2002 until 2005. As a member of BANT council Emma was involved with the creation of the NOS and the Core Curriculum for Nutritional therapy in consultation with members of BANT and education providers. Emma was Chair of BANT Council for six years from 2004 until 2010. During her time as Chair, amongst many other achievements, Emma was involved in the Grandparenting process, initial discussions with the HPC regarding statutory regulation for Nutritional Therapy and CNHC profession specific discussions boards. Jane has been a member of BANT for 13 years. During that time, Jane was a member of the Ethics Committee from 2005 until 2011, Chairing it for 16 months from 2005 to 2006. Jane joined BANT Council as a Director in February 2011 and had specific responsibility for Clinical Governance developing the BANT Accredited Supervision Scheme. Jane stepped down as Director in June 2014 but continued as Head of Clinical Governance until December last year. In addition, Jane has demonstrated extensive services to academia including a number of publications, conference presentations and research activities. Kate has been a member of BANT since it first started. Prior to that, Kate was a member of its predecessor – the Nutrition Consultants Association and also a member of the Council for Nutritional Education and Training (CNEAT), the predecessor of the NCT and NTEC. Kate was integrally involved in developing the Codes of Ethics and Practice for 1989 – 1993 for NCA. Kate was a member of the Nutritional Therapy Council from 2003 – 2004. Kate has always been a great advocate for and supporter of BANT. Kate was the founding editor of The Nutrition Practitioner in 1999 and remains Editor today. Kate is a published author and has demonstrated extensive service to academia over her career. In 2001, Kate open the Centre for Nutrition Education and Lifestyle Management which and continues to provide accredited courses in Nutritional Therapy of the highest standards. Michelle has been a member of BANT for 9 years. She has been Head of Education at CNELM since 2012 and ensures that high level of education standards are met. Michelle has demonstrated services in academia, having had articles published in the Nutrition Practitioner and is currently undertaking a doctorate in personalised nutrition – developing research methodologies and the evidence base for nutritional therapy. Michelle was an assessor with the NTC from 2007 – 2009 and again from 2011 – 2012 collaborating in educational ideas. Michelle has also worked through the Schools Forum with exploring research opportunities looking at clinical practice. Miguel has been a member of BANT for 6 years. For all of those years, Miguel has been involved as a volunteer for BANT, including being student representative on BANT Council prior to graduating. As Student representative, Miguel was instrumental in driving the technical development of ‘The Learning Zone’ which hosts the Functional Medicine modules needed to enter the Nutrigenetic Counsellor Module. As a full member, Miguel was involved initially with Membership and Education joined Council as a director and then Vice Chair. In March 2012 to date Miguel has been Chair of BANT Council. Miguel has worked tirelessly on behalf of BANT for many years now with endless energy and enthusiasm. BANT has also benefited greatly from Miguel’s excellent skills in networking and his presence as a BANT figurehead in the media. Nitsa has been a member of BANT for 5 years. Since joining BANT Nitsa has provided consistent support through her role as Regional Co-ordinator for Europe and the Mediterranean and supported countless BANT members in Europe. Nitsa has been actively involved in the promotion of Statutory Regulation of Nutritional Therapy in Cyprus. Her actions have resulted in the preparation of the Bill for Statutory Regulation of Nutritional Therapy by the Minister of Health, involving thousands of hours participating in meetings, writing evidence based letters and disseminating papers to the House of Representatives. The Bill is currently at the Ministry of Health waiting its turn to be promoted to the House of Representatives for final approval. It is likely that Cyprus will be the first country in Europe to have statutory recognition for Nutritional Therapy as a direct result of Nitsa’s actions. Nitsa is also a founding member of the European Society for Lifestyle Management and has demonstrated extensive services to academia having had many research articles published. Val has been a member of BANT for 11 years and during that time has demonstrated significant ‘above and beyond the call of duty’ in her work for BANT. Val was a member of the PPC from 2008 to 2012 and Chair of the PPC from 2008 to 2011. During the same period, Val was also appointed assessor for NTC ‘Grandparenting’ applications and it was largely due to her efforts that allowed 600 members to register with the NTC and onward to the CNHC. From 2009 to 2014, Val was a committee member of the NTC and then NTEC when it was formed. Val was also a member of the accreditation assessment boards for NTC/NTEC during the same period. From 2010 – 2014, Val was a Profession Specific Board Member for Nutritional Therapy at the CNHC. Val’s contribution and committee to BANT are unparalleled. Welcome to April’s issue of the BANT News. Every page is packed with exciting offers and updates. We’ve also included a great follow-up report for you on last month’s AGM outlining our key achievements in 2014 and our exciting plans for 2015, so we hope you enjoy it! Following the announcement in March by the Professional Standards Authority that traditional health professionals should look beyond the confines of the health and care system to engage with Complementary and Natural Healthcare Council (CNHC) registered practitioners like Nutritional Therapists, there has been another significant boost for our profession. The General Medical Council (GMC) has amended referrals guidance to doctors such that they can now refer patients wanting complementary therapies to CNHC registered practitioners including Nutritional Therapists. Miguel Toribio-Mateas, Chairman of BANT said: “Following the recent Professional Standards Authority report, the GMC announcement is more excellent news for Registered Nutritional Therapists and should bring greater recognition of the role that our profession can play in providing holistic health care. CNHC registration gives reassurance to the public and other healthcare practitioners that our members are professional and knowledgeable and we welcome the GMC’s acknowledgement of this. The full wording of the GMC guidance is available here at section 8: GMC Delegation and Referral Guidance.